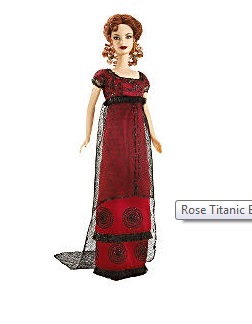 ​This is the fourth doll in the Collectors Request Collection. 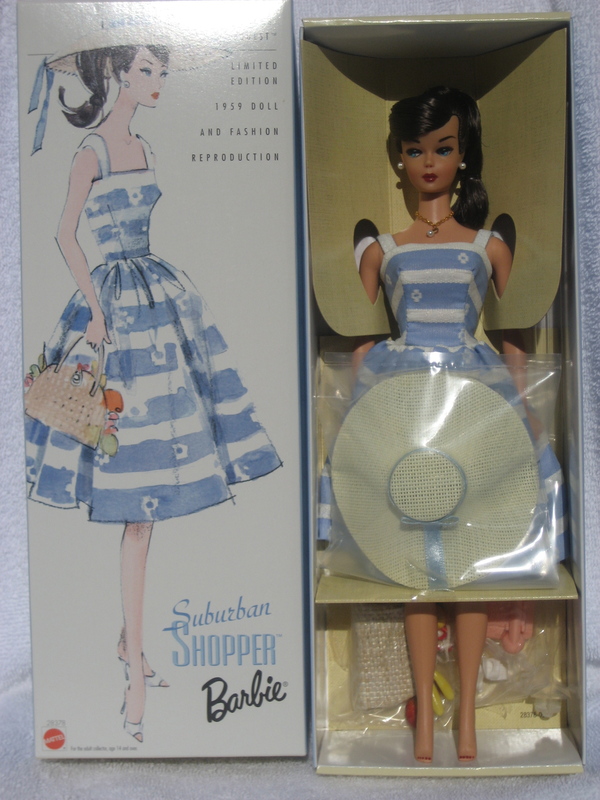 The Suburban Shopper fashion outfit #969 (1959-1964) is one of collectors all-time favorites. 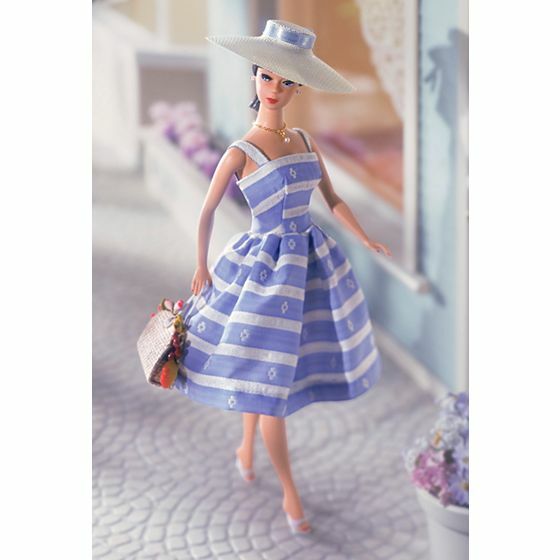 This fashion features a blue and white striped dress, an oversized straw-look bag decorated with colorful fruit, a straw-look hat with ribbon, faux pearl drop necklace, earrings and shoes. 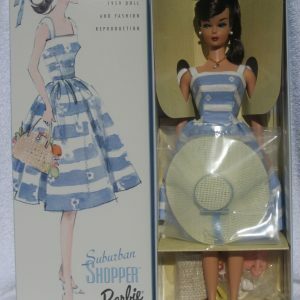 The Barbie dial phone completes the set.